Tis the season of vacations, or planning the winter getaways. When it comes to being a wine lover in the Twin Cities, we are lucky to have easy access to both the west coast and to Europe in general. Booking a great wine vacation to Oregon, Sonoma, Washington, Santa Barbara, Finger Lakes, or France is a piece of cake. Having a great experience while there, well that’s a different matter. Photo: tasting top notch wines at Ojai Vineyard’s tasting room, Ojai, California, February 2018. 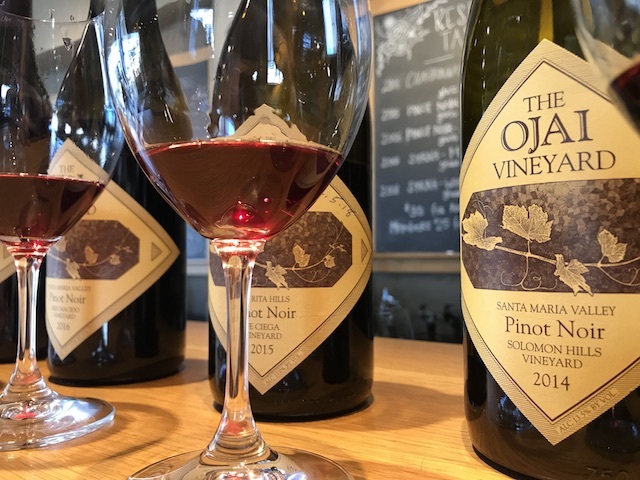 A visit to a place like Ojai Vineyards, which is no longer distributed in Minnesota (sad face) ensures we can procure wines we can’t get back at home (happy face). That’s a big part of wine travel for us … bringing home gems that make our friends jealous! Plus having liquid memories of a great day. Two free checked bags make it possible to bring home a ton of wine. 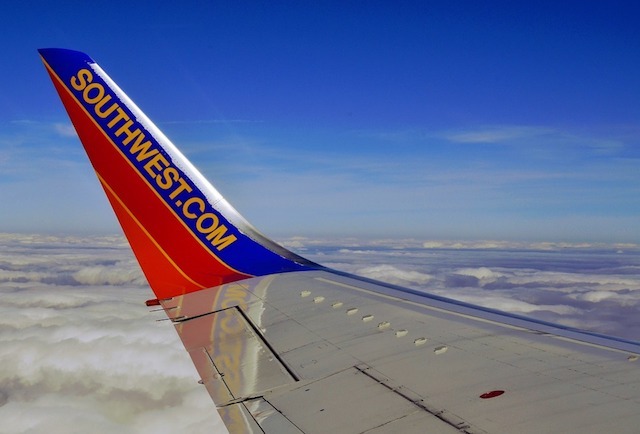 Southwest’s free ticket change policy has saved our butts numerous times as well. Note: Southwest doesn’t show up on search engines such as Google Flights. Always, no matter where you are going, take a second to look for the Southwest flights and see what happens. When the TCWE group went to California two weeks ago, we flew Southwest direct from MSP to Oakland, which makes for a quick and easy drive up to Napa (one hour, all freeway). A little hunting and a little patience got us those direct flight tickets for about $230 each. Sun Country is not my favorite airline by any stretch, after leaving my friend Scott and his wife abandoned in Mexico last winter. They are cost-cutting left and right, and customer service is going the way of Spirit and Frontier (whom I refuse to fly on … life is too short to get that mad). However, all that being said, there is something magical about getting on at MSP and getting off at Charles Shultz International Airport, located in the heart of the Russian River Valley, Sonoma County. The flight is Friday-Monday (weekend getaway) through August, when it switches to Thursdays only. Flights are running $300-450 round trip, but watch out for the Sun Country nickel and diming on luggage, seat assignments, etc. A vingardeWHAT? A Vin Garde Valise. 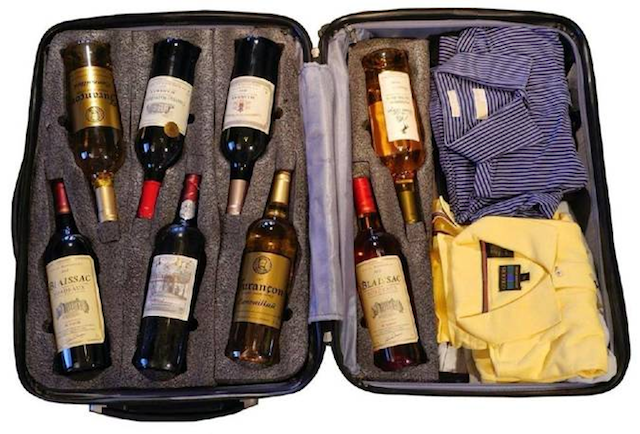 This is an incredible suitcase specifically made for wine travel, with a twelve bottle capacity, a great guarantee, lightweight, and perfect to bring home your gems from a trip. See their website for more details. Angela bought me one of these for Christmas last year, and it’s already helped us bring tons of wine home from all corners of our travels, with no fear of breakage at all. Get a 12 bottle foam shipping box from ULine (or better yet ask a friendly wine retailer if they have an extra laying around … they often do. Or contact me, I might have an extra) and bring it with you to help carry back your gems. Hint from a regular reader, Jim: be sure to use your styrofoam cooler to store bottles purchased on hot days. It’s amazing how hot it can be in wine country, and many a bottle have been destroyed because they were just tossed in the back seat before starting that big two hour tasting or lunch. Take good care of your wine, and if necessary buy a cooler and a bag of ice. This is the best money saving advice I can give. 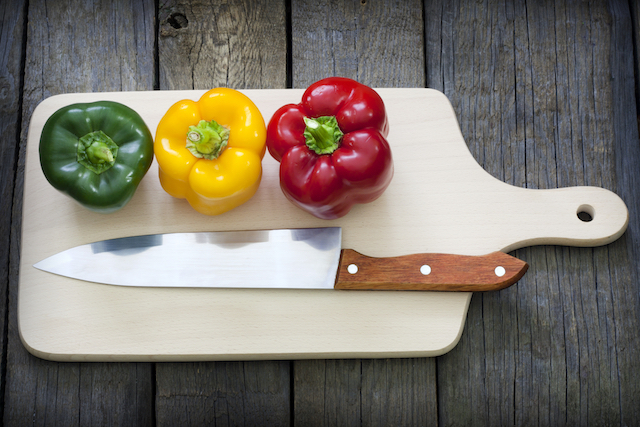 In your checked in Vin Garde Valise or foam box, pack the following: a thin cutting board (like the plastic sheet ones), a cheese knife or two, a bread knife if you wish, a wine opener, and two GoVino glasses. Then, after you arrive, stop for a quick stock up of water (LOTS of water), some good cheese, some meat, and a loaf of yummy artisan bread. You now have all you need for a spontaneous picnic with a great view at any point of the trip. When Angela and I wine travel, we spend more on our lodging (ensuring great views of vineyards and vistas) and less on eating out. We eat a big lunch, but tend to enjoy dinner at our Airbnb or hotel, because of our little kit we packed and brought. 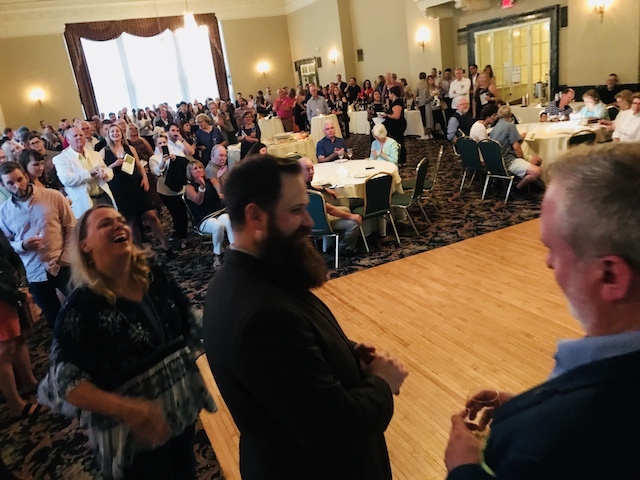 This saves us a ton of money, but also releases us from fear of drinking and driving, plus it allows us to soak in the very reason we wine travel: to be in the region, smelling the air and looking at the vines. Plus it makes going to bed early a bit easier to accomplish (I’m a morning person). 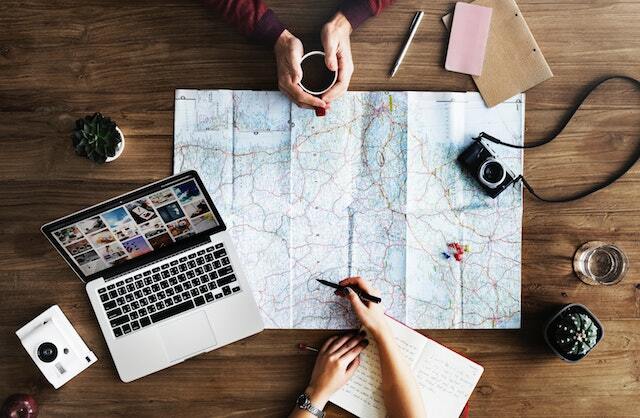 Local travel guru Jared Kamrowski (husband of Zipp’s wine buyer Erica Komrowski) runs one of the top travel hacking sites on the web: Thrifty Traveler. 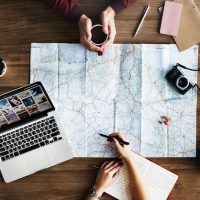 What is travel hacking? It’s finding ways to travel cheap or free, and having a system to be on the lookout for special deals and mistake fares. Joining the regular newsletter is free, but the Premium newsletter is where the real action is. A few days ago round trip from MSP to Sydney Australia came up for under $800. Flights to Europe for under $500 is common. A mistake fare roundtrip to New Zealand from any airport in the USA for $237 surfaced not that long ago. Most importantly, this newsletter will help you know about pricing trends in the world of airline travel, and give you a good sense of when to buy tickets. Also, they can give you incredibly valuable advice on how to best use a stockpile of airline miles or use a credit card you might already have in hand to access airport lounges around the world. See the Thrifty Traveler website for details. Our good friends and former Minnesotans Ryan and Gabriella Opaz are the number one source for info, tours, advice, and help when it comes to visiting Portugal (which I consider the top wine destination in Europe at the moment, in terms of bang for the buck, being still under the radar, quality of food and people, and joy of travel). Gabriella literally wrote the book on Portuguese wine and food (available in hardcover in the USA in August … learn more and pre-order now on Amazon). Every dollar spent with Catavino multiplies in enjoyment and quality of experience while in Portugal (where the language barrier and ease of getting lost can add up quickly). Learn more at catavino.net. Some wine regions (Napa, Willamette Valley) are compact. Some wine regions (Washington State in general, Santa Barbara, Sonoma) are quite diverse and spread out. Know how long it will take to get from point A to point B, and don’t overbook your days. I like to travel with two set appointments per day, at the most. One at 10am (forces you to get up, get a good breakfast, get going) and maybe another around 2:30 or 3:00pm. In between is a good filling lunch and exploring, plus some time after the afternoon appointment for exploring or dropping in open-to-the-public tasting rooms. Nothing ruins a wine trip faster than looking at your watch and trying to figure out how to stop the amazing experience you are having at winery A to rush to another experience at winery B, knowing that winery C and D are coming up as well. Wine travel is about slowing down, taking in the views, and grabbing opportunity. When you suddenly find yourself at a winery atop Spring Mountain on a perfect day, and the host says “That concludes our tasting but if you want to buy a bottle and enjoy the view our picnic tables are all yours,” well, you want to do the right thing. Say yes, grab that cheese and meat from your car, and make some memories over a bottle and view. So what’s the status of The Flying Grape? 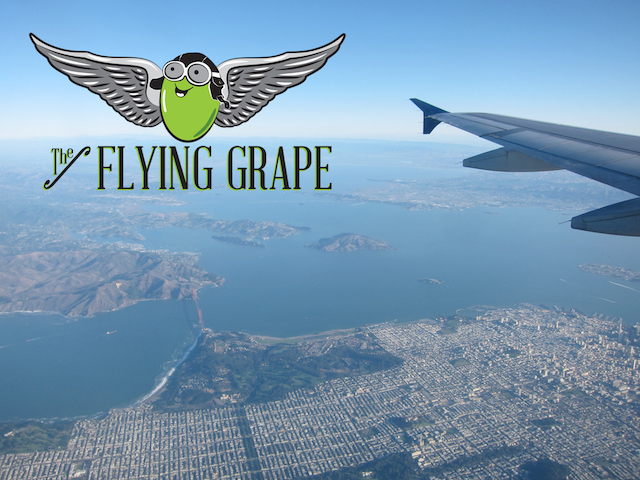 Some of you remember a few years ago Angela and I started a separate business, The Flying Grape, for taking small groups on wine tours around the country and around the world. We took one trip to Portugal with an incredible group (and had Catavino handle all the details and organization), but that was it. Upon returning from Portugal, we realized we needed more flexibility in terms of being home and taking care of aging parents (specifically my dad, who passed last November). So we stopped the idea of leading tours. However, plans are underway to revive the website as a catch-all for our wine travel advice and journeys, making it a one-stop-shop for what to do when going to Oregon, Sonoma, Napa, Santa Barbara, and more. Hopefully we’ll have it up and running by the end of the year, and we’ll fill you in further as we get closer.